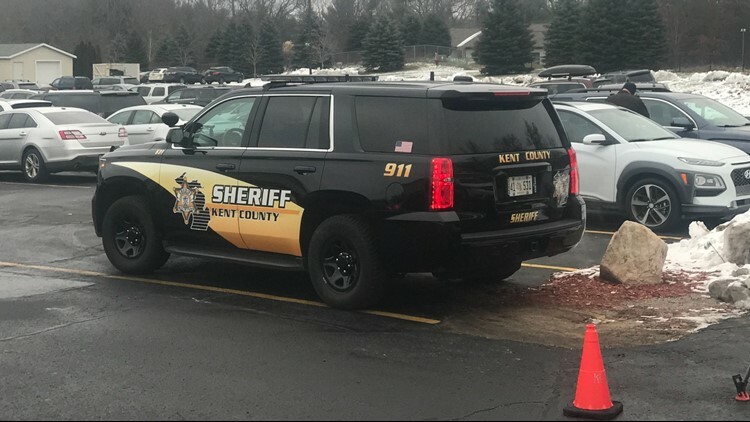 BELMONT, Mich. - An 8-year-old boy is in the hospital after being run over by his mother during school drop-off Tuesday morning. According to Kent County Dispatch, the incident happened at Chandler Woods Charter Academy, located at 6895 Samrick Ave NE, around 8:30 a.m.
As of Wednesday, Dec. 12 the 8-year-old victim remains in critical condition at Helen DeVos Children’s Hospital after suffering trauma to his head and torso. Authorities on scene after an 8-year-old boy was run over by his mother during school drop-off Tuesday morning.